TWMLA is excited to announce that their work at the Cornell Law School has received a Boston Society of Architects (BSA) Education Facilities Honor Award. The LEED Platinum project has also previously received a Merit Award from the Society for College and University Planning (SCUP) for Excellence in Architecture for Building Additions, Renovation or Adaptive Reuse. 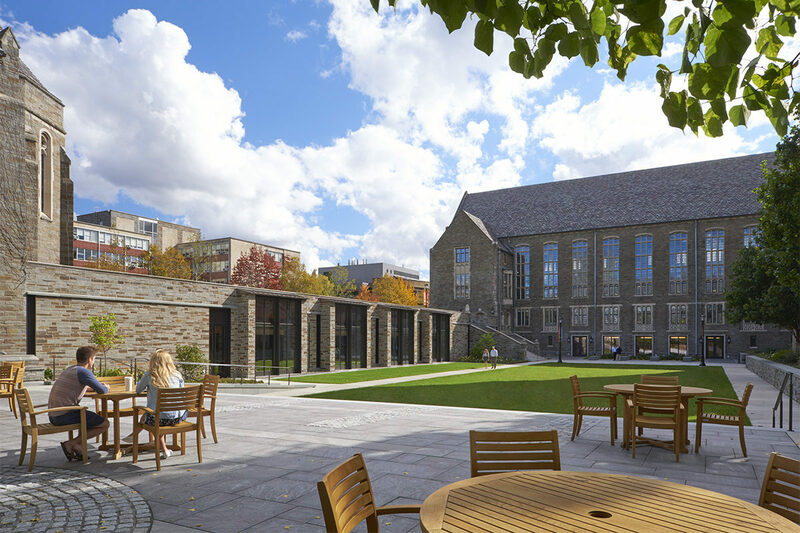 For the project, TWMLA teamed with Ann Beha Architects to thoughtfully integrate a new underground building addition to the Cornell Law School while preserving and enhancing an important landscape space.